The tree seedling in your landscape might be small and a mystery to you, but it holds clues to help you identify it. Because a tree seedling does not have fruit or mature bark to inspect, the best way to identify it is by closely examining the few leaves it has. As you classify the leaves into different categories, you can then compare the results in a tree book or online to pinpoint exactly what kind of tree it is. Identify whether the leaves are simple or compound. Simple leaves are made up of only one leaf, which grows from the twig. Complex leaves also grow out from the twig but are made up of several smaller leaves along the same leaf stem. Observe the shape of the leaves. The leaf may look like a rounded oval, a hand or a long, skinny oval, among other shapes. Examine the edge of the leaves. They will be smooth, lobed or toothed. Look at how the leaves grow along the twig. Both simple and compound leaves will either alternate sides along the twig (called alternate) or the leaves will grow from both sides at the same spot along the twig (called opposite). Three leaves might also grow from the same spot in a circle around the twig (called whorled). Also consider where the seedling is growing. Look at other trees in the area because its parent tree is most likely nearby. 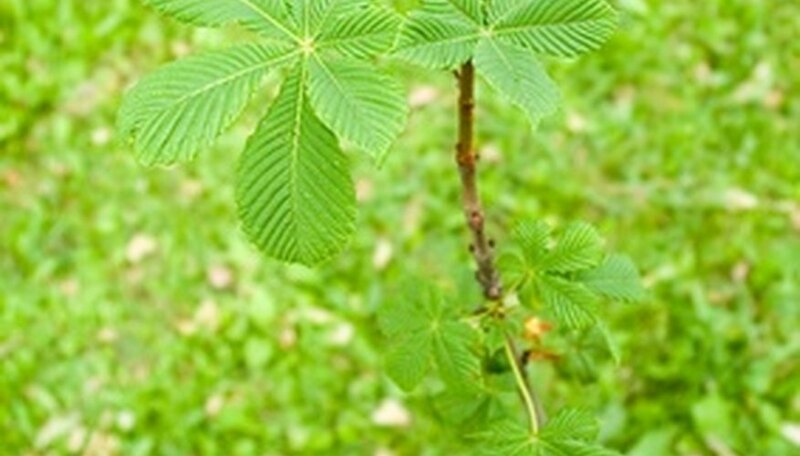 Compare the leaves with the other tree leaves and when you find the match, you can also use the fruit, flower and bark to help you identify the tree seedling. Notice if the soil is consistently moist, such as near a water source, because that will narrow down the possibilities significantly.